Nothing is better on a chilly morning than that first steaming cup of coffee. You’re not sure how anyone functions without it, quite frankly. Your enjoyment is interrupted however, by a twinge of sensitivity when you drink your coffee. That’s strange, this didn’t happen yesterday, yet you notice it again with your next sip. Let’s stop right here and take this moment to encourage you to call East Islip Dental Care right away. 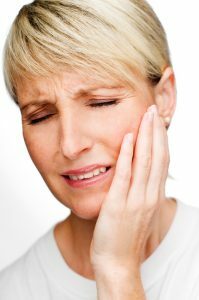 Even though your sensitivity goes away quickly now, it’s an indicator that something is wrong with your tooth, and it’s likely that you may have a cavity. Your dentist in Bay Shore discusses how to prevent and treat cavities. When do I have a Cavity? A cavity, or hole in your tooth occurs when decay destroys your tooth enamel and your root becomes exposed. This may be why you feel sensitivity, and it may get worse as the damage progresses. This is the time to contact your dentist, as the more proactive you are, the less invasive your treatment will be. A cavity in its early stages can typically be treated with a dental filling. Your dentist will clean out the decay and fill the hole it leaves with a tooth-colored material called composite resin. Your filling will be custom shaded to match your tooth, so no one will notice your dental work. Composite is durable and can potentially last for many years with good home care. Did you know that tooth decay and cavities can actually be prevented? Regular visits to your dentist will ensure that we detect decay in its earliest stages, which sometimes even allows you to reverse its effects. This is why we encourage our patients to visit us every six months, or twice per year at East Islip Dental Care. Our doctors can detect tooth decay much earlier than you can, and we can even see it on your x-rays. Your trusted team at East Islip Dental Care has been providing high quality dentistry to patients in Bay Shore for more than 30 years. We provide convenient early morning, late evening, and weekend hours that are designed to accommodate every busy schedule. Achieving optimum oral health is just a phone call away! We encourage you to contact our office to schedule your next appointment or make a convenient appointment online.